Make a career out of making a difference! You’re caring. Supportive. Cheerful. Motivated. You enjoy the team environment where everyone helps each other out. You thrive at a place where you can make a difference for others. Seeing members grow more successful with their financial goals makes you glow. Dupaco is looking for YOU. It takes more than just hard work to provide a wide range and variety of top quality services to our members—it takes teamwork. 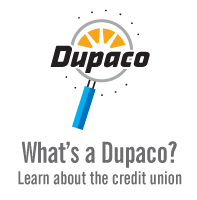 Since 1948, Dupaco Community Credit Union has grown from a few people lending out of a single office, to a credit union serving more than 100,000 members known for its member education initiatives. In 2016, Dupaco was named a Top 10 Best Mid-Sized Place to Work in Iowa by the Des Moines Register as a result of an employee feedback survey administered by Workplace Dynamics, LLC, a leading research firm that specializes in organizational health and workplace improvement. 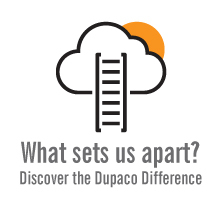 As a financial cooperative that puts its members first, Dupaco's success depends on a strong and healthy relationship with our growing membership. Service we provide our members helps strengthen members' financial positions, which in turn helps strengthen the entire financial cooperative and the communities in which we serve. 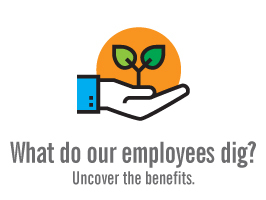 As Dupaco grows, your opportunities within the organization will also grow. Dupaco offers opportunities for rewarding, meaningful careers. We're ranked among the state’s best workplaces, and want to remain more than just a place to earn a paycheck, rather a place where employees can–and do–make a positive difference.